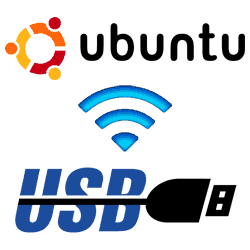 Couple months back I wrote a post on how to fix wireless problems in Ubuntu 12.04 LTS release. Although I listed a few good Ubuntu compatible wireless cards (USB) that work, several readers emailed me asking if I could a bit more detailed review. In this post, I am going do a basic review and compatibility check of best Ubuntu compatible wireless cards (USB cards). While there are numerous cards that may work in Ubuntu, covering all of them is beyond the scope of this review. I am going to concentrate on just 5 USB wireless adapters that I think are among the best of the currently available models. Listed below 5 Ubuntu compatible wireless cards (USB) that work on Ubuntu without the need for any configuration, compilation, driver-installation, etc. (plug-and-play). For best Mini PCIe Wifi cards that work on Linux, check this post. Among the 5 Ubuntu compatible wireless cards (USB) listed above, only ASUS (USB-N13) Wireless-N USB Adapter and AirLink101 AWLL6075 Wireless N Mini USB Adapter support up to 300 Mbps. If this is a concern for you then you may choose one of these two cards. I hope this helps.